Meet “Molly”, a synthetic drug that, along with “N-Bomb”, “Bath Salts” and “Spice”, is wreaking havoc on America’s youth. These dangerous synthetic drugs are sold under store counters and over the Internet, with hundreds of websites delivering them straight to your door. And the kicker? There’s no way of telling what’s in them. Manufacturers continually change the chemical composition to stay ahead of law enforcement; and there’s no quality control over the 300-plus chemical variations that have come into the United States over the past four years, mainly from China. In the CNN Special Report Deadly High: How Synthetic Drugs Are Killing Kids, Senior Investigative Correspondent Drew Griffin will take viewers on an in-depth journey into the world of synthetic drugs, focusing on the deaths of two teenagers in Grand Forks, North Dakota. Here, Drew will speak to family members of Christian Bjerk and Elijah Stai, both of whom died from taking a synthetic designer drug most have never heard of: 25I-NBOMBe (also known as 2C-I-NBOMe). Drew will also speak with law enforcement about their investigation into the deaths, and trace the path of the 25I-NBOMBe chemicals to North Dakota. 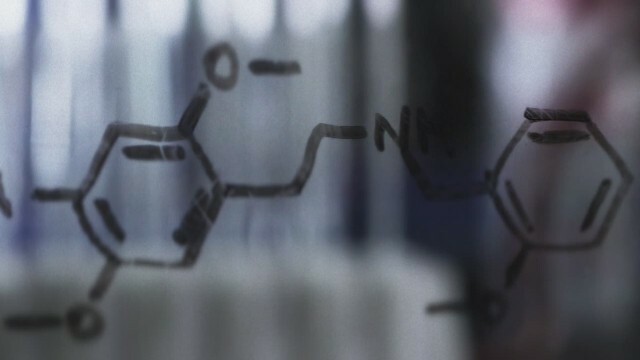 In this CNN Investigations report, Drew Griffin follows the trail to Texas, where he speaks exclusively with Charles Carlton, a man who’s facing a long prison sentence for running an online company that imported chemicals and sold them as synthetic designer drugs across the United States; the same chemicals that killed Bjerk and Stai. With overdoses and deaths across the country, why is the manufacturing and distribution of synthetic designer drugs able to continue? Drew Griffin will speak with scientists, American officials and law enforcement to get answers in the CNN Special Report Deadly High: How Synthetic Drugs Are Killing Kids, airing on Tuesday, December 2nd at 9pmET/PT on CNN.